​ Chesterfield VA Roofing offers TPO roofing services for flat commercial roofs in Chesterfield Virginia. We are licensed, bonded and insured in the state of VA.
TPO is a thin single ply (rubber like) roofing membrane with a reflective white top. It can be place on a smooth flat roof by itself or on top of fiber insulation boards. TPO is an acronym for its chemical composition of Thermoplastic Polyolefin. Thermoplastic means a material that softens with heat and hardens when cool. A calendaring machine (large steel rollers) will produce or smooth and flatten large rolls- up to 100 feet and 6 to 12 feet wide. Thus, seams at every 6 to 12 feet will have to be hot air welded (melting the seams together) as a continuous weld without air pockets on top of the roof. Mechanically fasten to the roof deck with special fasteners (the kind depends on the roof deck material). Fully adhered is when the TPO membrane is fully bonded to the roof deck with special adhesives. The most important factor to remember for the installation: the membrane has to be in pristine condition along the seams in order to retain a strong heat bond. Worried about a Roof Leak? ​ ​​We will rapidly send an inspector, to your business, to investigate your TPO flat roof leak. The Inspector will work quickly to minimize water damage- saving you some of the secondary costs, such as inventory, equipment, and structural damages. Finally, our assessment of the building’s roof will determine the failure of the roof’s system and recommend a budget friendly and long lasting repair. TPO roofs are designed to attract commercial property owners that are concerned with keeping a dry building for a long time (20 to 30 years) and not having to spend fortune to install it. With an expert installation, the lifespan averages out to 20 to 25 years- depending also on climate, and material quality. The UV resistance is excellent. The seam strengths are long lasting- with expert installation. The TPO membrane can absorb greases and oils, but will become stained in the process. Will not encourage the growth of mildew or algae so doesn’t need to be power washed. If mildew or algae grows on it, it’s devouring some substance spilled on top of it rather than the membrane itself. TPO roofing is a thin single ply membrane that can be cut or damaged by objects falling on it. Checking the roof regularly (after storms and service repairs) for punctures, blown on debris and ponding of water is necessary to keep the membrane trouble free. TPO material quality varies greatly among manufactures and price is not always a good indicator of quality. 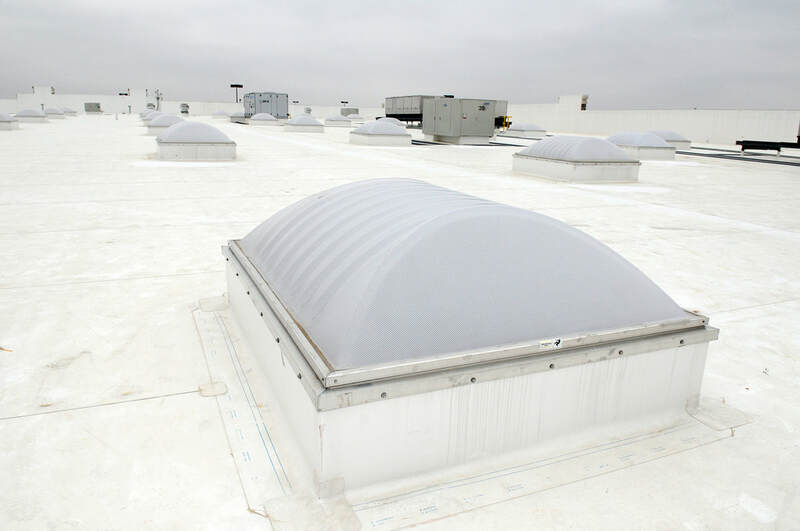 An experienced TPO roofer can suggest which TPO fabric would be excellent for your situation. The TPO rolls come in 6 to 12 feet wide so there will a seam everywhere they meet. Membrane roofs are just as dependent on quality of installation as the quality of material. TPO exposure to acids can cause the membrane to weather faster than normal. Any cleaners used must be suitable. Debris Removal costs are sometimes necessary for preparation- depends what conditions the existing roof surface is in. Not all commercial roofs can be walked on so in such cases equipment to move materials and the crew must be used. Insulation choices: Some property owners choose to have double insulation installed or none at all. How many roof penetrations, such as HVAC units, vents and skylights there are. Cutting out collars for each penetration takes extra time. Chesterfield Roofing encourages commercial business owners to schedule, at their convenience, a roofing consultation that will bring a senior manager to your building site to discuss your needs, desires, and plans for the building- just to make sure that a new TPO roof will be the most appropriate kind for your situation. The environment also will be evaluated to address any potential problems. Our goal is to provide you with a budget friendly TPO roof installation. Flat roofs need regular inspections to check for worn spots, debris fields, evidence of pests or damaged areas. Severe storms can blow branches on the roof that could puncture the membrane. Leaves and pine needles that are blown on the roof should be removed because as they decay acid forms which will degrade the TPO membrane. Pests, such as squirrels, mice and insects should be removed before they can chew through parts of the TPO membrane. Inspections 2 times a year (spring and fall), plus after a big storm is the single most important best practice to extend the roof’s lifespan to the maximum. Problems with roofing repairs come about because of lack of preparation. The person fixing the roof either doesn’t see the need for proper cleaning of materials to allow for a close bond or lack of understanding will cause the repairer to use the wrong materials for the repair. When bonding the TPO membrane seams, they have to be without dirt, grease, bird poop, any debris between the 2 TPO membrane’s will result in an unstable bond that will prematurely fail. Noncommercial roofers, such as handymen, property owners, building maintenance workers, and a friend who claims to know how to repair it will not generally have the type of tools needed to repair TPO roofing. When Trying to get a small patch of TPO roofing material from a roofing manufacturer, you may find that you have to buy a much larger amount than needed- very costly and wasteful. Specialized installation equipment, such as a hot air welder (needed to bond seams together or patches on) are expensive to buy- this is assuming a novice will know how to use it. 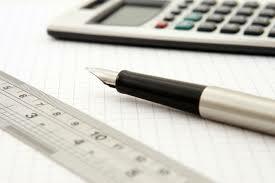 ​Our inspection and resulting estimates will consider cost, longevity, and function. It’s a false economy to repair the surface when its beyond its functional life- you may have to go through another repair in a few years or even months. Whereas, making the most cost effect appropriate repair will give years of trouble free service for your property enhancing its value. Sometimes this repair needs to be a replacement. Although your allowed to have 2 layers of roofing on a roof, it’s best to know what kind of condition the underlay is in. The underlay condition check can be done a few different ways: Checking the existing membrane cracks and punctures for complete breakthrough will give some idea of damage. Using Thermal imaging to check for wet areas would be another. The Inspector will recommend any additional testing before replacement so you can be assured that all pertinent information will be gathered to help you make an informed decision. ​ Chesterfield Roofing operates under the premise of repair when possible, and offer affordable options when replacement is advised. You will be given the written appraisal and encourage to ask questions that may arise, but other than that we will not hound you. Within the appraisal, we will offer a predication of approximate life expectancy of your roof before repair and after. After the contract is signed, costs do not change except when changes are made. Call (804) 835-6142 to find out if a TPO roof is a good solution for your roofing needs.